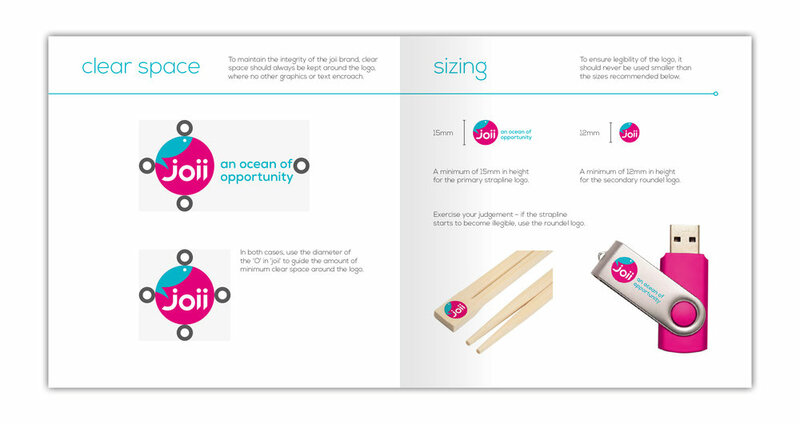 Working with brand marketing consultant Pete Blackman, I was invited to work on this rebranding project for raw sushi fish supply company Joii Sushi. Joii, based in Surrey, are Europe's number one fresh and frozen tuna expert and the leading supplier of superfrozen tuna to the ‘fish for raw consumption’ food market. As the raw material supplier, if you will, they supply food companies such as Pret a Manger and Yo! Sushi, amongst many others. Their fish is ethically sourced and they aim to provide their customers with a great experience through the precision and quality of their supply chain. The brief was to rebrand the business to reflect the passion, brand vision and quality of the food they catch, prepare and supply. Several different routes were worked up for presentation to the client. These ranged from subtle tweaks to their existing logo, through to complete overhauls of the brand identity – a way of gauging how far the client wanted to push the brand in this process. During a collaborative process with the client, we eventually worked through to the finished ‘fish’ logo. 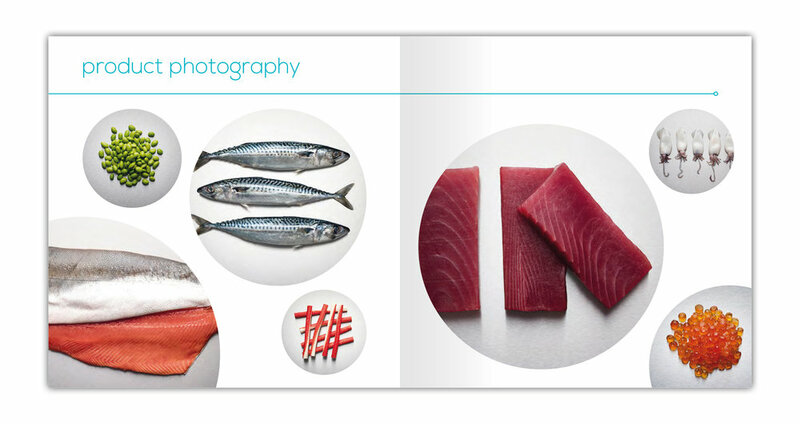 The rationale behind the Tuna fish icon and the sharp ‘joii’ logotype was to communicate the freshness and precision with which the businesses focuses on its product and supply chain. Using the typeface Nexa as a starting point, I then handcrafted the letterforms to produce the finished logotype. I liked the idea of hand-cutting the type in an angular fashion, similar to the precise way that the cuts of Tuna and Salmon are prepared by Joii’s skilled food technicians. This included subtle details, such as replacing the original ‘O’ character with a precise circle. For the colour palette, I decided to keep the original bright pink, synonymous with both the business and the colour of Tuna and Salmon flesh. I then added a blue which would have a similar bright intensity, but hint at the ocean origins of the product, as well as the frozen technology behind Joii’s fresh food supply. Brand roll-out included the usual logo suite, including standalone circular icons for social media environments. I then designed a pdf brand book, detailing brand guidelines as well as rationale behind brand thinking and values. Brand food photography was shot by Jason Ingram, using actual food supplied by Joii.